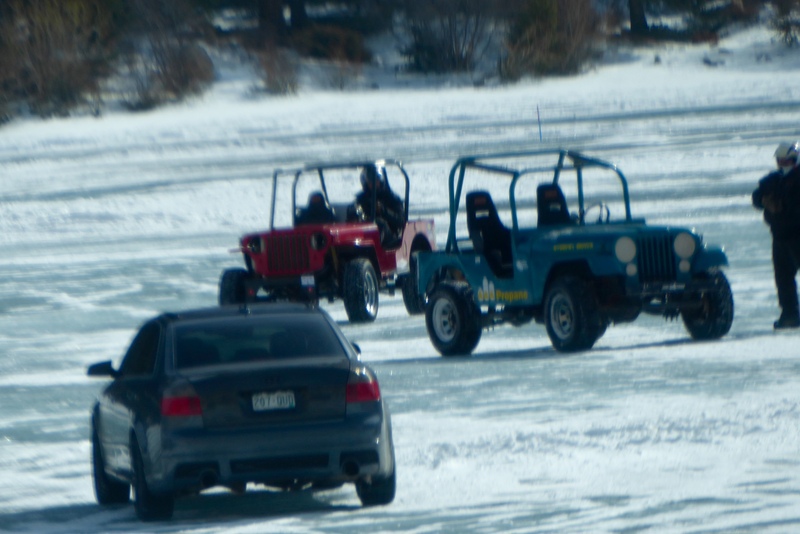 Racing Jeeps on frozen lakes is a winter sport. I, Zeb the Duck, did not race. 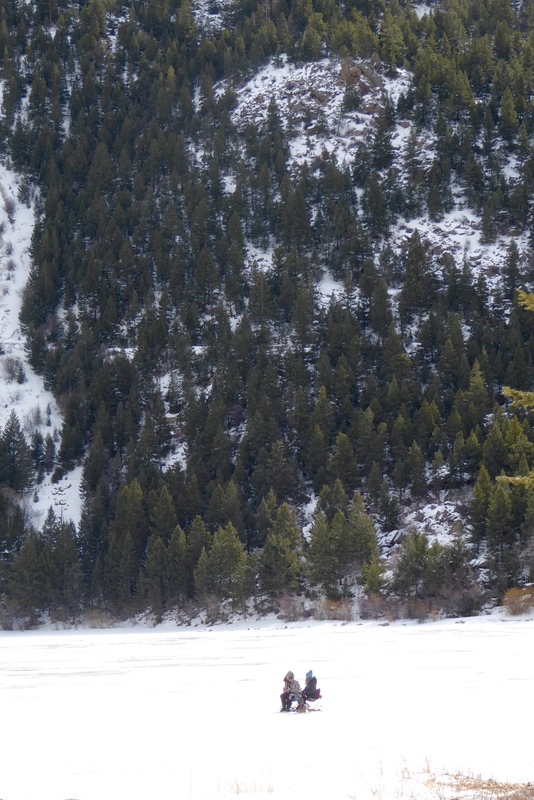 I did not drive on frozen lakes, but some humans do. 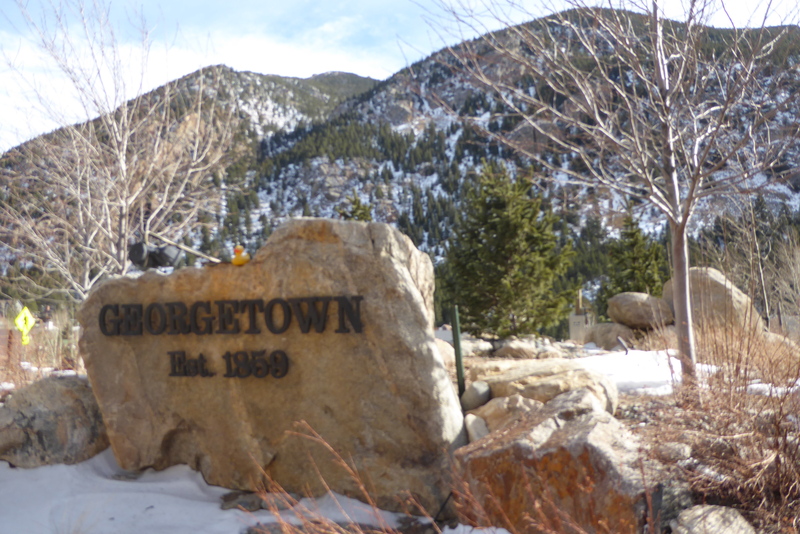 Georgetown, Colorado located 44 miles from my house, is a great destination. We shop there, eat there, view autumn leaves there, ride a scenic train there, but now we have watched Jeeps racing on ice there. Last Sunday morning we watched Bare Rubber Ice Racing. 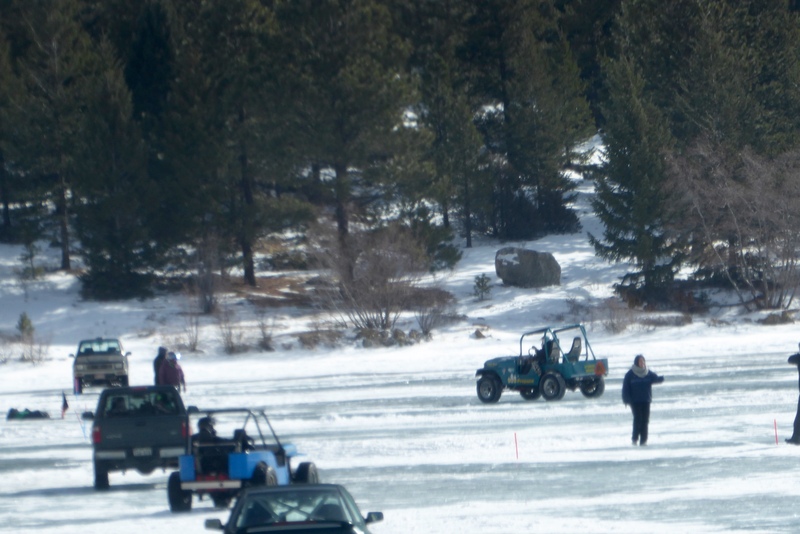 Humans and vehicles were on the ice already. First stop for humans is the registration area. To race, you must have a Tech Inspection. This inspection can be done here early the morning of a race and is good for the season. You also need a Driver’s waiver, Driver’s License, Proof of Insurance, and cash to pay your entry fee. This red Jeep is racing. When driving, snow was spraying, Jeep was accelerating and sliding in turns. This blue Jeep was also racing. Of course, with action, you need to see it; no action in still photos. After racing, the Jeeps return to the registration area. 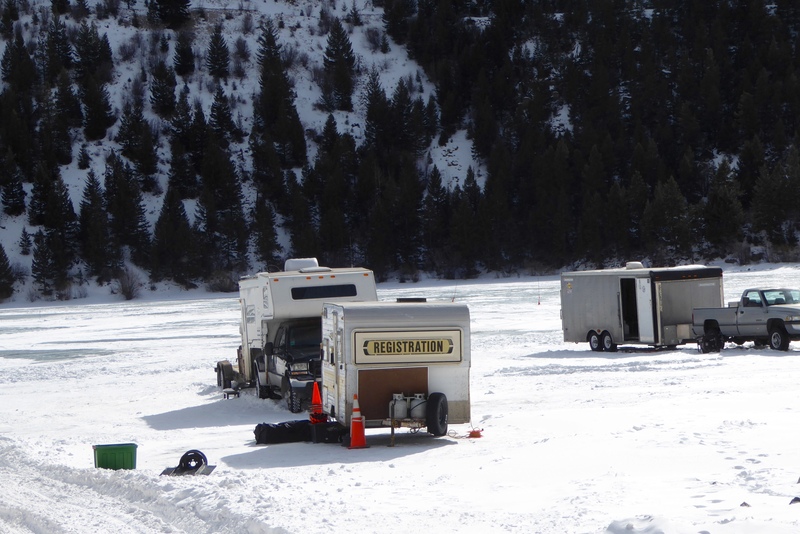 For more information about Ice Racing in Georgetown, Colorado, visit http://www.OurGangIceRacing.com It was windy and cold Sunday morning and at times visibility for spectators was hampered by blowing snow. Dress appropriately and you will have fun. 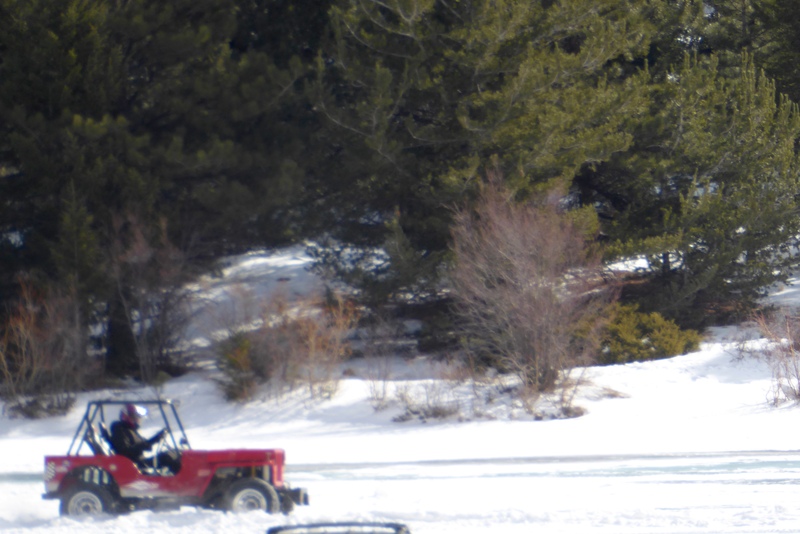 In a different area of Lake Georgetown, some were ice fishing. 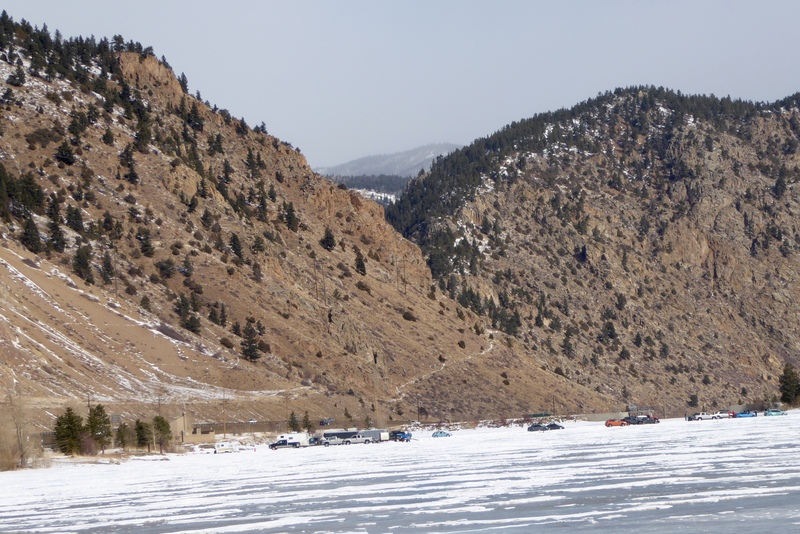 Whether you want to race, ice fish, or observe, this is a beautiful location. We always have fun in Georgetown. 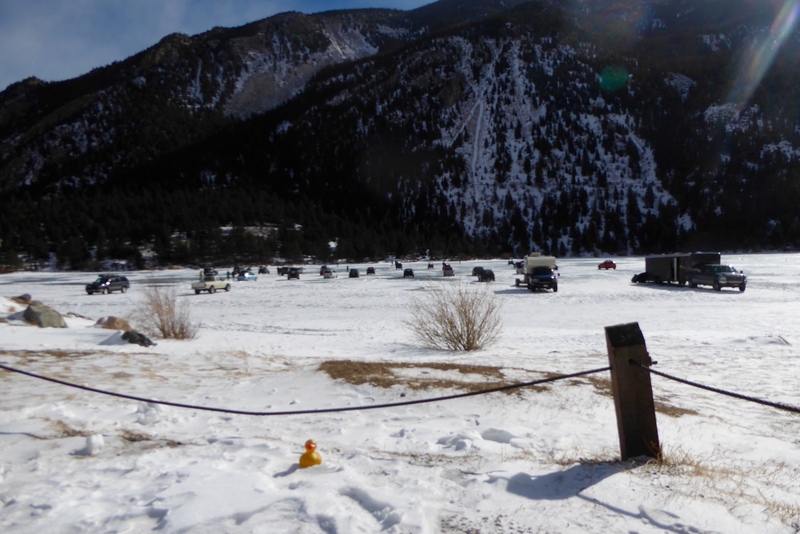 This entry was posted in Colorado and tagged Colorado Traveling Ducks, Georgetown Colorado, Lake Georgetown, Our Gang Ice Racing, racing on ice. Bookmark the permalink. Great post! We love visiting Georgetown and have seen them racing on the ice as well. We also love Georgetown. This was our first time to see racing on the ice. We usually go in the summer. And have smooth, tasty ice cream. Thanks for reading and commenting. This looks like a a lot of fun. How thick is that ice? Thanks for reading snd commenting. I am not sure about the thickness of the ice. Colorado state guidelines recommend 12-15 inches thick for a medium size pick up truck. Since ice racing happens most weekends every year, I am guessing ice is thick. Perhaps close to 18-24 inches, over one half meter. There was also a tow truck on site, should anything bad happen.